RAPTUROUS cheers broke out across Britain yesterday as ITV confirmed that Andy Townsend’s contract won’t be renewed when it expires in the summer. Andy has been in-and-around ITV Football for over a decade now, including his much maligned ‘Tactics Truck’. He’s best known for ending every single sentence with ‘Clive’, stating exactly what’s happened a full 3 seconds after viewers have watched the incident AND replay of the event. Quite simply, it is mystifying how Townsend held a job for so long on television. Then again, ITV also gave Jim Beglin a wage. At all. ITV are, of course, batshit mental. Also on his way out is the nice, but ultimately ineffectual presenter that is Matt Smith. During ITV’s live football coverage, many football fans played a game of searching for Andy Townsend’s name, just to see if anyone at all had anything remotely positive to say about him. 99.99999999% of the time, it was people despairingly shouting at their screens, calling him thick or mocking one of his nonsensical catchphrases: ‘If anything Clive, he’s hit that too well…’ in references to a shot that hit the goalkeeper in the chest. So, with that, there’s a couple of jobs going at ITV Football. Knowing ITV, they’ll be looking at pinching someone from the BBC or weighing-up an ex-professional, when a journalist who doesn’t play golf with anyone in the game might be better. Still – that shouldn’t stop us speculating. To those who know who Eamon Dunphy is, he’s a riot. To those that don’t, they’ll wonder why they’d not been shown him years ago. Dunphy is ranty, insightful, honest, sometimes looks like he’s had no sleep and a heavy night down the pub, funny and really cares about football. He’ll tell an idiot to shut up too – exactly what’s needed at ITV. The opposite of anything good, you just know that ITV are going to offer Robbie Savage some money to come to their arms. TV executives think people like Robbie Savage are ‘the everyman’, when the actually everyman can’t abide him. Watch the clip below, and you’ll see what makes Savage such an unappealing prospect – shrieking repetition. Sure, he’s a self deprecating chap who is invariably nice enough off camera, on TV, he’s a hooting simpleton. We don’t need more. 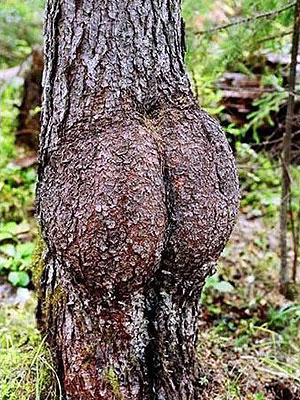 So awful was Andy Townsend’s work, that he could be replaced by that tree that looked like it had an a nice arse. At least a bootylicious tree is funny and used as shade. Andy Townsend is so dimwitted that he doesn’t even cast a shadow. Any of the Football Ramble gang would be a welcome addition to the world of televised punditry. However, CV-wise, Pete Donaldson would be the best, mainly because he’s been on-screen before. His work with Absolute Radio and 4Music would impress bosses and, of course, he’s got a regional accent, which everyone likes in football. If you’re one of the Rambles many listeners, you know that the entire ITV talent should be sacked and replaced by TFR! Michael Owen, inexplicably, has become a pundit of late. A man who has a voice like the low hum of an old fridge and all the vitality and vigour of a shoe box. He’s seen no films. He can’t get excited about football. He’s weird with people on Twitter. He can’t even manage to read out loud while sat in a stationary helicopter without looking like the top half of his body fell asleep 3 weeks ago. ITV are idiots though. They’ll be sniffing around Owen, despite his lack of charisma. Failing Michael Owen, why not sign-up someone who is basically the same, but funny? Father Fitzgerald from Father Ted is the man you’ll know from saying: “I have an awful dreary monotonous voice, God help me.” SIGN HIM UP ITV! Mark E. Smith. We’re not even going to insult your intelligence by telling you why this should happen. All you need to do is watch him read the classified results out and enjoy him taking the piss out of Ray Stubbs’ hair.